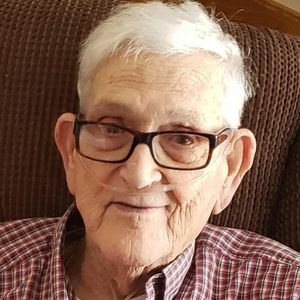 A gathering will take place at the Koepsell-Murray Funeral Home in Beaver Dam on Thursday, March 28, 2019 from 11 a.m. until the time of the memorial service at 12:30 p.m. at the funeral home. Inurnment will take place at St. Michael's Cemetery in Beaver Dam. Bob is survived by his eight children: Daniel (Tracy) Knoll of Fort Smith, Arkansas, Mark (Kathy) Knoll of Beaver Dam, Gail (Ronald) Nampel of Beaver Dam, Christine (Eloy) Leal of Fond du Lac, Kevin Knoll of Fond du Lac, Shannon (Fuad) Deane of Wisconsin Rapids, Curt (Lili) Knoll of Wausau, and Erin Marchillo (special friend, Jeff Joslin) of De Pere; his brother, John "Jack" Knoll; sister-in-law, M. Audrey Kachelski; 19 grandchildren; 21 great grandchildren; one great-great grandchild; nieces, nephews, other relatives, friends, and his special lady friends at the Madison Place Apartments.